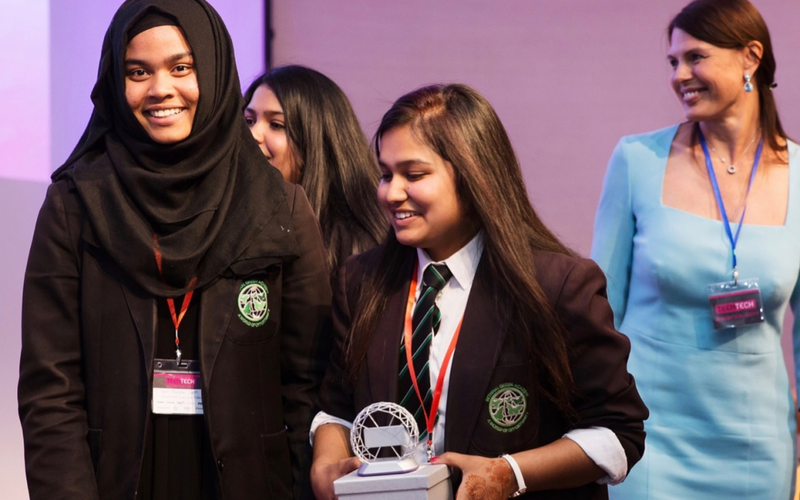 Have you registered your school for the 2018 TeenTech Awards? Open to 11-16 year olds and 16-19 year olds, working in teams of up to 3, our exciting initiative challenges students to make life better, simpler safer or more fun using science, technology and engineering. The final is held at The Royal Society and the winners go to Buckingham Palace and collect £1000 for their school. See our video and the amazing support from science and tech celebrities. Register here and we will send you the Teacher Pack and links to inspiring resources. With year round invitations to ‘innovation days’, versatile resources and connections to world experts, we offer real value to every student who participates, not only those who reach the final. The Awards have proven particularly successful in encouraging those who may think science and technology is ‘not for them’. One school has seen the number of students choosing D&T increase by 300% over 5 years of participation, whilst another saw the numbers of girls choosing GCSE Physics move from 43%- 87.5% in three years. There are 20 categories inviting students to explore emerging technology from the future of transport to the future of food. We have a new ‘Tech For All’ category sponsored by Lloyds Bank, a Data Science Award sponsored by Accenture – ( you may wish to alert your Maths and Geography colleagues to this) and a special category focussing on the Future of Rail . Everything we do is designed to help young people develop the skills they will need in the future . Our alumni (students and teachers) stand out from the crowd and the impact on entire year groups in schools is compelling. Participants have won Bloomberg and Arkwright scholarships as a result of their projects. As soon as you register we will provide links to mentors, resources and invite you to innovation days. We look forward to working with your students. Hi Rachel, your school can register at http://awards.teentech.com. There’s a form there where you can sign-up (there’s a link under Step 1 to get you started).